Note: This advice is directed to authors who’ve finished editing their manuscript into something ready for release. How to know when that is would take another blog post, which I’m considering writing! I urge you to make sure your book has been edited—and possibly rewritten!—before you publish. With the choice to self-publish, an author faces many challenging decisions. While some people approach it as the “easy” way to sell your work, nothing worthwhile is easy. Though no self-publisher’s journey will be predictable, there are guidelines authors should follow to make the process smooth. As a first time self-publisher, I don’t claim myself an expert; however, if probed for one piece of advice by someone considering the route, I would say don’t get carried away in setting a release date. Let me explain. Dissonance is my first published book. Researching the process taught me how publication works behind-the-scenes. Most things I learned are common sense—get an editor, have a good cover, figure out a marketing plan. There won’t be a magic button to press for sales and pageviews, so you’ll spend a lot of time on social media spreading the word. These were things that, though challenging, I tried to follow faithfully. There are plenty of posts that give advice about book covers and marketing plans. If you’ve taken seriously the decision to self-publish, you’ve read a few of them; in my opinion, there aren’t enough posts telling us to be patient. I made the mistake of losing perspective in my excitement to be published. Nothing is set in stone, and it is better not to give yourself a release date, especially if you’re a writer undergoing this process for the first time. I can only recall being warned about the release date dilemma in Catherine Ryan Howard’s book, Self-Printed. It’s an excellent source of advice if you don’t know where to start! However, despite her warning, I wanted to claim the book birthday of 12/13/14. 12/13/14—not only was it fun to put on announcements, my birthday was the day after! Convinced I could get things together in a year, I told everyone Dissonance would be available then—and complications arose. Though I’d chosen 12/13/14 with a year in advance, there wasn’t time to get everything sorted. As a friend of mine once said, nothing is finished until it’s published. I missed the release date and published five months later. As a first-timer, I am proud of my book and glad I chose this path, but learned a lesson: I can’t control everything. I won’t be setting a release date again unless everything is sorted, because life has ways to throw you off-course. Soon I’ll be working on the second book of my series, and this time when I publish, I’ll know what not to do—which things I have power over and what I should leave to others. I’m not ashamed of this incident because it gave me insight. However, I’d like to give you this word of advice if you want to self-publish a manuscript: Your book may not be ready when you are. It’s worth the wait—good things always are. Mariella Hunt writes faery tales from her bedroom/library in Boise, Idaho. She enjoys reading the classics and hopes to one day write like Charles Dickens (hey, a girl can dream.) Her first novel, Dissonance, was published in June of 2015. Check out her blog, Facebook, Twitter, and Instagram for updates on her writing life. 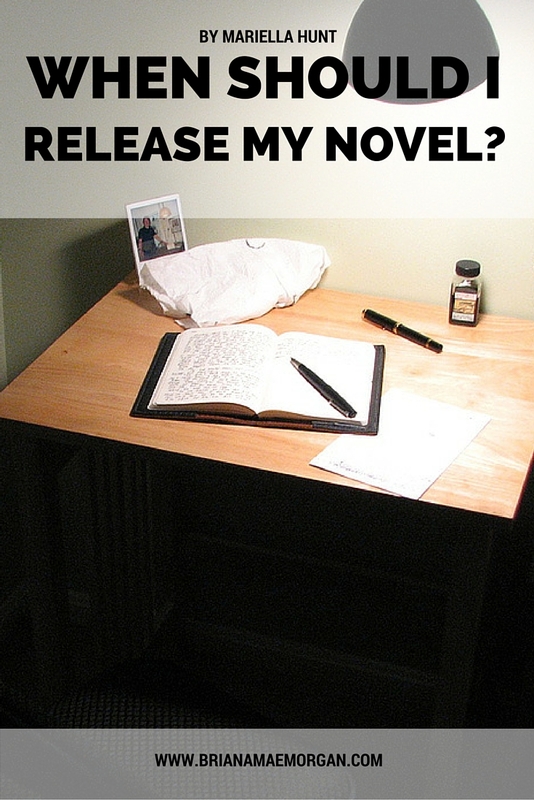 How do you know when your book is ready to be released?